Canine's On Patrol Training Services is one of East Central Illinois' foremost authorities on canine training. C.O.P. Training Services offer both Police and Private Citizen Courses. C.O.P. Training Services offer: AKC Canine Good Citizen, Basic Obedience, Advanced Obedience and Home Protection for private citizens. 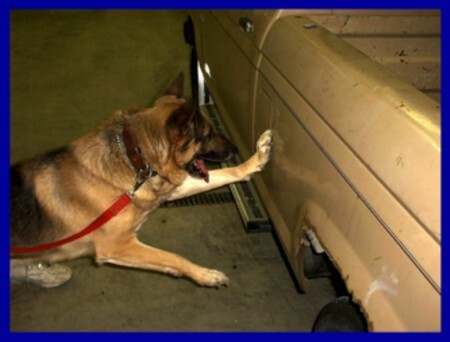 For Police K-9's, Canine's On Patrol Training Services offer all of the above, plus: Obstacles, Tracking, Article Searches, Drug Detection, Weapon Detection, Home, & Personal Protection. 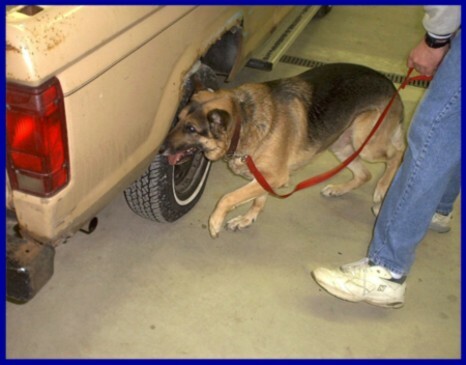 Pictured below are some pictures of one of the Police K-9's being trained in drug detection and aggression. Neat, huh?? ?